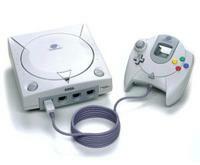 Dreamcast is Sega's fifth and final video game console and the successor to the Sega Saturn. An attempt to recapture the console market with a next-generation system, it was designed to supersede the PlayStation and Nintendo 64. Originally released sixteen months before the PlayStation 2 (PS2), and three years before the Nintendo GameCube and the Xbox, Dreamcast was generally considered to be ahead of its time and was initially successful at restoring Sega's reputation in the gaming industry. However, it failed to gather enough momentum before the release of the PlayStation 2 in March 2000, and Sega decided to discontinue Dreamcast the following year, withdrawing entirely from the console hardware business. battle it out in an online showdown. pleas do something to get it back in line! Quiero que porfavor me digan como sacar a krisalit bueno si esque se escribe asi logico que en la KOF99 selos agradesere "muchisimo pero muchisimo", o que me digan si sale krisalit si o no. On May 21 at midnight PST, a press conference was held at the Akasaka Hotel New Otani to promote Sega Enterprise latest game console, Dreamcast. In attendance was Sega's President Shoichiro Irimajiri, who officially released the machine's specs. memory card up with your mobile phone for, they say, a whole slew of new gaming experiences. Hmmm. On a more mundane level, the visual memory is also a basic PDA, featuring a calendar, clock and planner function. Console Dimensions: 7 7/16" X 7 11/16" X 3"